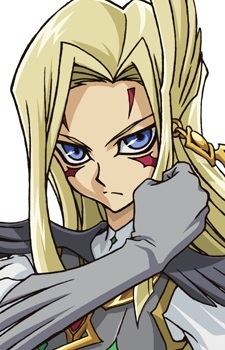 Misael "Mizael, Mizar, The True Galaxy-Eyes Master, Miza-chan"
Misael is one of the powerful Barian Emperors whom others fear. He is prideful and arrogant as being a dragon tamer, naming himself "The True Galaxy-Eyes Master ". He also sees Kaito as his rival. Unlike Girag and Alito, Mizar is shown to be straightforward and serious, as when he arrived on Earth, he began his mission right away, whereas the other two remained distracted with their antics, to which he chastises the two for letting them get in the way of their goal. However, he seems to enjoy showcasing his powers, as Alito stated his entrance was "overly flashy".